You could say I’m obsessed with elephants. I went to elephant camp in Thailand, I have an elephant tattoo — and this video of a baby elephant in a kiddie pool is the first thing I turn to when I’m feeling sad. So it’s taking pretty much all my energy not to apply for this job I just found in Cambodia. The position is an elephant and forest interpretive guide with the Elephant Livelihood Initiative Environment (ELIE), a NGO in Mondulkiri, Cambodia. Because you’ll be working with visitors all day, you must be a “bubbly, outgoing and resourceful person.” You’ll also need to hike “across tough terrain to get to the elephants,” so you have to be in good shape. Other requirements include a background in outdoor education, a “keen interest in wildlife” and a first-aid certification and driver’s license. It hasn’t been enforced for many years, but all foreign workers are required to have a Cambodian work permit. From my research, it doesn’t look too difficult to get and costs $100. This is a full-time position, with an initial commitment of at least one year. It starts at the end of August or beginning of September, and the application deadline is July 31. To apply, send your resume and a short introductory video to jemmabullock(at)gmail(dot)com. If you get the job, let me know — I’ll be on the next plane for a visit! 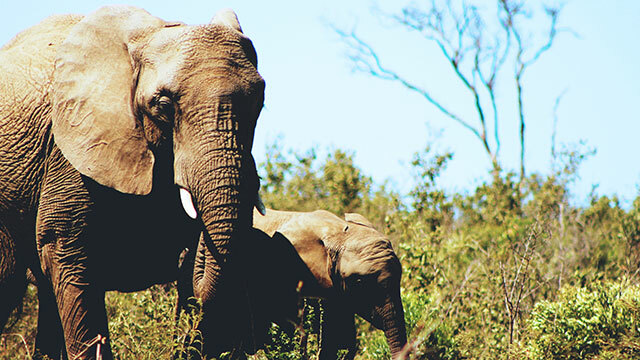 Your Turn: Do you love elephants? Is this your dream job?